At the end of November I delivered a training course on Advanced Negotiation Skills. OK, that’s something I’ve done quite frequently over the years, but this course had a slight difference. This was the first course I’ve delivered as an Associate with CEDR. It was wonderful working with my co-trainers: Andy Grossman has been delivering conflict resolution training with CEDR since “forever” (about 20 years) and has a wealth of experience; the third of our team was Phil Williams, a retired police officer who now specialises in delivering training around hostage and crisis negotiation. The trainees were all members of Danish organisation Djøf (the Danish Association of Lawyers and Economists), a trade union for lawyers, economists and a wide range of other skilled workers across all sectors. Trade unions are much stronger in Denmark that the UK, with around 67% of workers in membership. Indeed, the workforce takes a key role in the strategic direction of many businesses. As such, they operate at all levels of the business and often have a greater buy-in to business decisions than is the norm in the UK. It was fascinating to see how the delegates worked through the course and embraced different aspects of negotiation. The emphasis was clearly on cooperation and people seemed genuinely uncomfortable even having to role-play situations where they had to hold a line and end up in conflict. 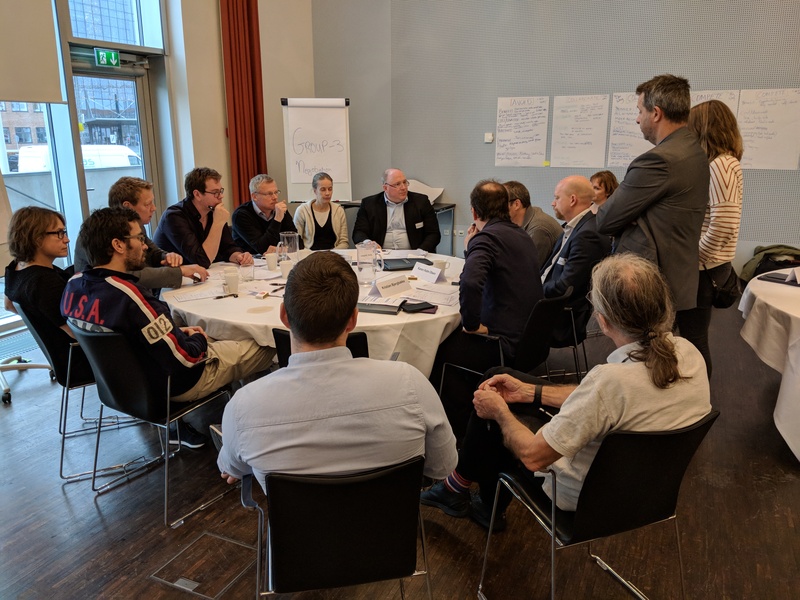 Their explanation was that this is the Scandinavian way: being reasonable, finding the common ground and working towards a mutually beneficial outcome are second nature. While Andy and Phil focused on negotiation theory, behaviour and motivation in negotiation, I focused on the collective aspects of negotiating in a workplace. Like many unionised organisations in the UK, it’s common in Denmark for there to be multiple unions involved with an employer. To simulate that, we ran role-play scenarios where the delegates had to negotiate towards a pay agreement, given a range of restrictions and contradictions within which to find an outcome. It was wonderful to see the range of approaches they came up with to present and justify their position, whether they were role-playing management or staff, and the enthusiasm with which they set about negotiating. Suffice to say, it was encouraging that all of the groups were able to achieve their objectives and came away with a greater understanding of the challenges ahead when faced with real collective bargaining situations. All in all, from a training delivery perspective, it was a thoroughly enjoyable experience! I’d be interested to know your thoughts on the topics raised in this article, so please leave a comment or, if you’d like to discuss anything more directly, please contact me at malcolm@strathesk.co.uk or give me a call on 07736068787.